Handmade baby/ kid hat with hair clip and bib gift set Every style is unique and designed by shop owner. 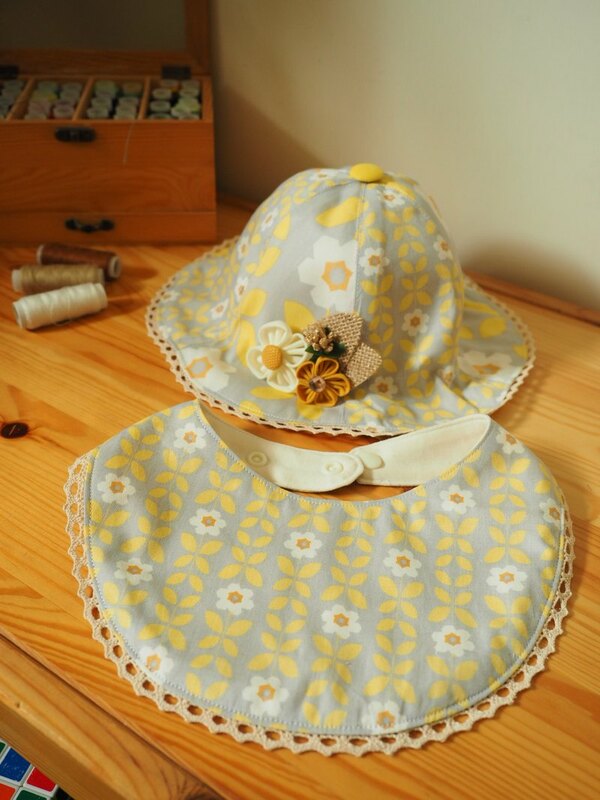 Sunflower Handmade baby/ kid hat with hair clip and bib gift set Every style is unique and designed by shop owner. Size of the hat is tailor made for any age from New born to kid which is more comfortable. Same fabric can be made for other accessories such as tote bag and scarf, which can be given as a gift set or self-usage. Materials & Specifications -	Cotton and Linen. -	We provide basic packaging for this product. If you need gift wrapping, please remark your request during order placement. -	This product is handmade, and so each one cannot be 100% identical. -	Hand wash is preferable Shipping Details -	This is a customized product, which requires sometimes for tailor making. -	After receiving your payment, I will ship the product within 3 days.